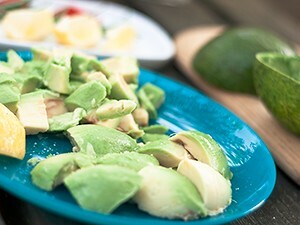 Avocado needs to be ripe enough. If you apply some pressure with your fingers it should give in pretty easy. 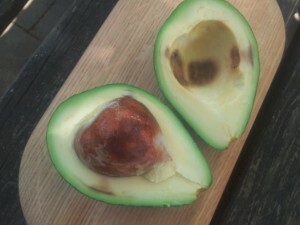 If it's too hard let it ripe for a day or two until it's just right. And don't forget to wash it before the use! Be careful with the knife! 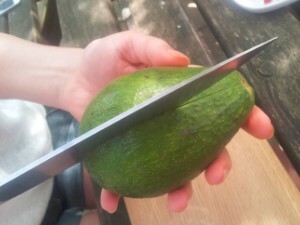 You don't need to hold the avocado in your hand, you can put it on a cutting desk and use your hand to hold it down when cutting the avocado around. ... and go a whole way around. 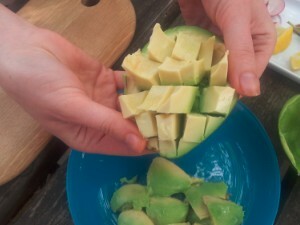 Hold on both halves of the avocado and turn them in opposite directions. 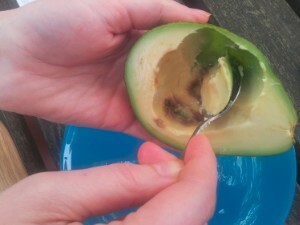 You should now end up with two avocado halves, one half containing the core (seed). The simplest way to get rid of the core is to ax the core with the knife. But be very careful not to ax your hand instead! If you are not 100% sure use your hands to scoop out the core. Now simply pull the core/seed out. 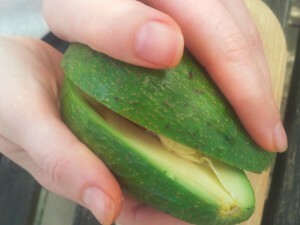 You now have two perfectly awesome avocado halves. 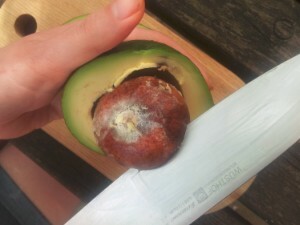 Don't worry if the avocado meat is a bit brown like mine. 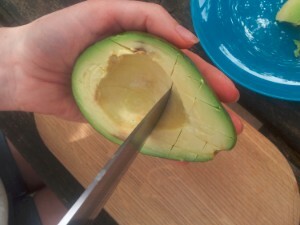 I will now show you two ways to get the delicious avocado meat out of the shell. 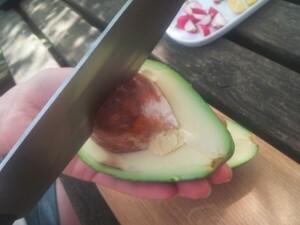 First one is to simply scoop the avocado meat out of the shell using a spoon. 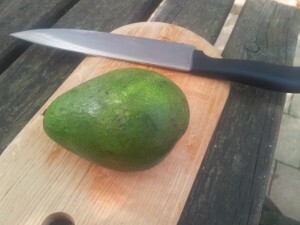 If you want little cubes of avocado, then cut a grid using a knife. 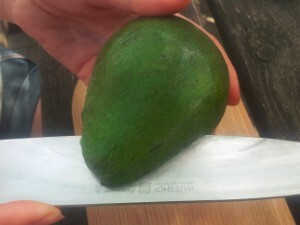 Then simply push the shell inwards to get the nice little avocado blocks out of the shell. 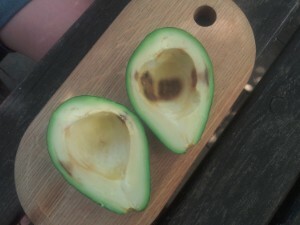 A useful tip: avocado meat tends to oxidate and turn brown when exposed to the air. To prevent this to happen squeeze a bit of lemon all over it. Add a few pinches of salt over it and bit of pepper and eat it. It's delicious with a bunch of veggies like tomatos, fresh cheese and a piece of nice wholewheat bread.